Kale is such a great winter veg but can often seem a bit too earthy. We hope this recipe inspires you to see it as simply a fresh green leaf! 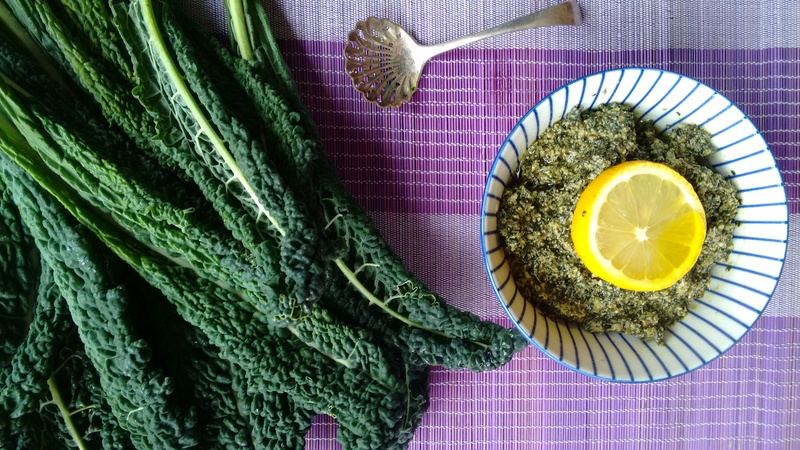 Kale is so high in nutrients that you can’t afford not to eat it! Here we lightly steam it to retain its goodness. Lovely with pasta or on a baked potato. 1. In a pan with a cm of water, steam the kale leaves with a lid on until they are lightly wilted. Drain the water and allow too cool. 2. Combine all the ingredients in a food processor or liquidiser. Blend well adding more oil as required and salt and pepper to taste.